After embarking on my Kind Beauty Mission, I have been searching for an all natural organic skincare range that is 100% cruelty-free and that's not "made in china". It wasn't long before I discovered an Australian made and owned skincare range that lived up to all my expectations and more. 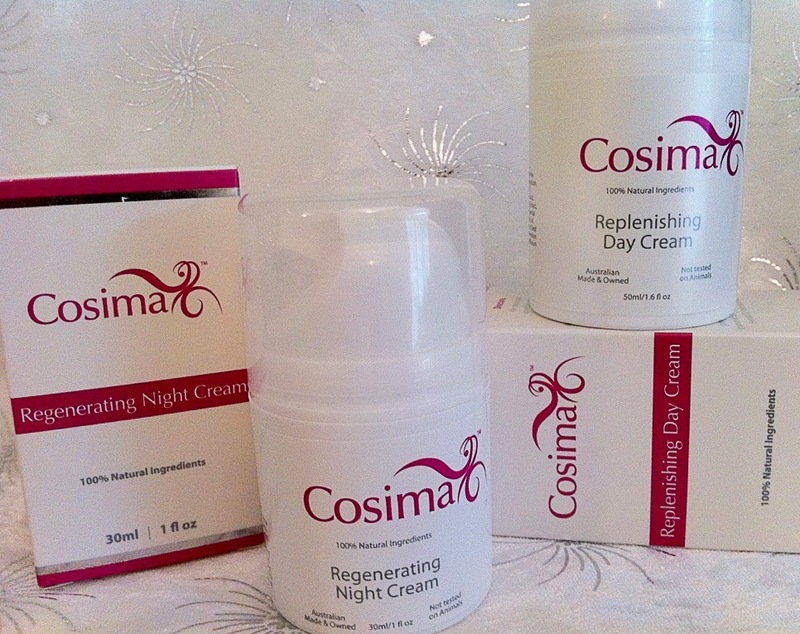 Cosima Skincare is a unique range of purely natural skin care products formulated to give your skin and body real results naturally. Inspired by the best from nature! 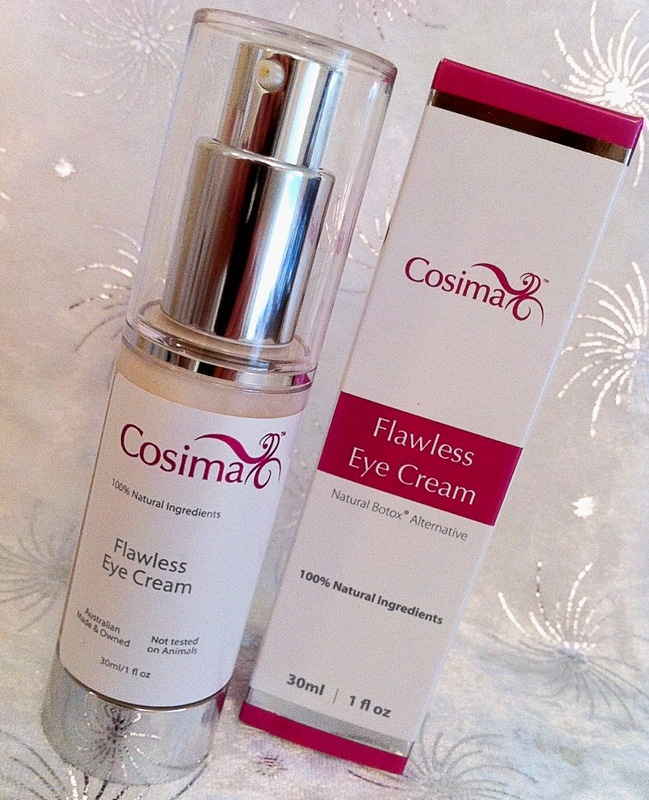 Cosima skincare fights the visible signs of ageing using the highest quality 100% natural and organic ingredients. I had the unique opportunity to meet Angela the woman behind Cosima Skincare a few months ago and she kindly gave me some of the products to try. I was more than happy to test out the range and give her my thoughts. 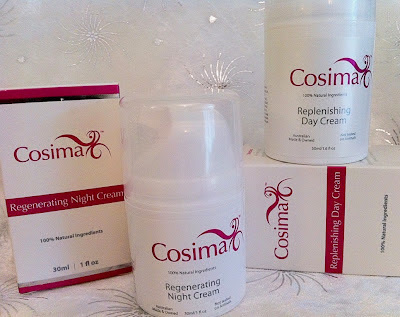 I was so thrilled with the way my skin looked after using these products, I knew that I just had to share my thoughts about Cosima Skincare with my beauty blog readers as well. Description: Wake up your skin with this refreshing face wash suitable for all skin types. Watch it remove make up, dirt and unclog pores while Papaya gently exfoliates dead skin cells and cucumber cools for beautifully soft skin. Suitable for Normal, Oily, Combination and Congested Skin Types. Key ingredients: Papaya extract, Lemon Myrtle essential oil, Cucumber extract, Rosewood oil, Rosemary antioxidant, Apricot Kernel Oil. 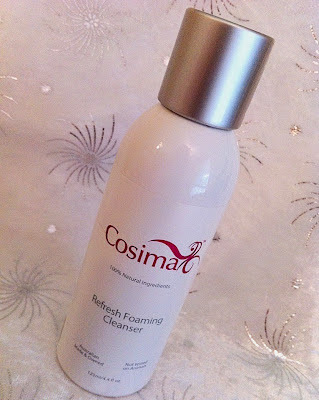 The Foaming Cleanser is my favourite product from the range! I just adore how is lathers on my skin for that refreshing clean feeling. 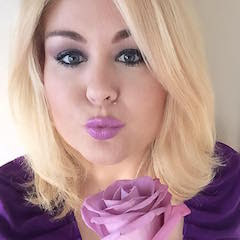 It removes all my makeup while invigorating my skin with a slight tingly feeling. The sweet peppermint marshmallow like fragrance leaves my skin feeling soft and very refreshed. Description: Mother of Pearl, Jojoba Beads, and Willow Bark extract work to deeply cleanse and exfoliate the skin helping to accelerate cell renewal. Mother of Pearl enhances efficient absorption of skin care products into the skin's deeper layers. This exfoliator offers superior refining and clarifying abilities - pure luxury for your skin. Key ingredients: Mother of Pearl, Macadamia oil, Willow Bark extract, Vitamin E, Jojoba beads, Papaya extract, Kakadu Plum extract, Marshmallow extract, Bergamot essential oil, Tangerine essential oil and Rosemary antioxidant. The Facial Exfoliant is a beautiful treatment that I like to give my skin once a week. Instead of my usual mask I have been using this instead to refresh and revive my skin. It helps to exfoliate my skin without being too harsh and abrasive. Plus the subtle marshmallow scent leaves my skin feeling refreshed and soft. Description: A potent blend of 24 ingredients to rejuvenate and regenerate your skin while you rest. This cream will restore balance and hydrate your skin to visibly reduce the signs of premature ageing. Wake up with radiant, glowing skin. Key ingredients: Aloe Vera juice, Macadamia oil, Certified Organic Rosehip oil, Certified Organic Coconut oil, Jojoba oil, Vitamin E, Vitamin B5, Kakadu plum extract, Ginseng extract, Papaya extract, Carrot Seed oil, Rose essential oil and Rose antioxidant. It's always been really important to me to hydrate my skin at night. After all during the night is when your skin cells are hard at work repairing the damage and renewing your skin for the next day. This night cream is just divine. It leaves my skin feeling hydrated and moisturised without that heavy creamy feeling. The subtle coconut scent feels beautiful on my skin. Description: This rich non greasy face cream is full of vitamins, minerals and antioxidants to nourish and protect your skin. Perfect for use under make up. This cream will fight the signs of premature ageing giving your skin a healthy glow. Key ingredients: Aloe Vera juice, Sweet Almond oil, Certified Organic Rosehip oil, Certified Organic Coconut oil, Jojoba oil, Vitamin E, Vitamin B5, Kakadu plum extract, Hemp Seed oil, Evening Primrose oil, Jasmine essential oil, Rose essential oil and Rose antioxidant. When it comes to finding the perfect daily moisturiser, I normally stay away from heavy creams because I have oily skin. However this Day Cream gives my skin the hydration it needs and doesn't clog my pores which can cause my skin to break out. I was really surprised by how much I liked this Day Cream and I'm really happy with the way it moisturises my skin especially coming into the colder months of the year. Description: Cosima Flawless Eye Cream is a multi-dimensional eye cream with clinically proven actives targeting the signs of ageing such as fine line and wrinkles, loss of elasticity, firmness, tone, dark circles and vascular (vein) imperfections. The eye area appears more even and radiant. Although you will see results instantly, results continue to improve the longer you use it. Key ingredients: Aloe Vera juice, Macadamia oil, Certified Organic Rosehip oil, Hibiscus extract, Jojoba oil, Certified Organic Coconut oil, Vitamin E, Vitamin B5, Cucumber extract, Kakadu Plum extract, Honeysuckle essential oil, Jasmine essential oil, Rosemary antioxidant. This eye cream is very soft and has a pleasant fragrance. I really like the pump bottle because it dispenses just the right amount of product for one application. I think the key to looking young is always using a good quality eye cream. You may not see the benefits now but you will in the future and you will thank yourself later. Cosima skincare includes no harmful nasty chemicals that can irritate your skin. Instead they use only the best quality natural and organic ingredients.